Following on from our recent post featuring the best 18 golf holes on the Wild Atlantic Way, here is the back 9. 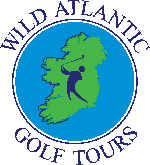 Why not play our choice of the best golf holes on the Wild Atlantic Way. WAGT will customize the best golf tours for you and your groups in Ireland. 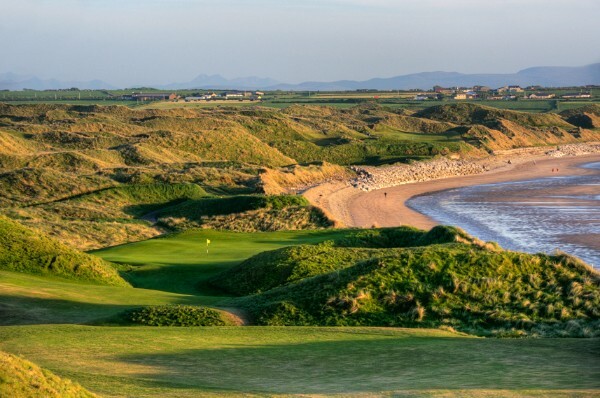 Play classic Irish links courses such as Ballybunion, Waterville, Lahinch and Tralee. The Wild Atlantic Way is a tourism trail on the West Coast of Ireland. The stunning 2,500 km of coastline offers breathtaking scenery, invigorating sea swells, gastronomic gems and a warm welcoming atmosphere. It is also home to some of the greatest golf courses on the planet. Rosapenna Golf Resort , Sandy Hills .. Par 4. Rosapenna is another club blessed with two great golf courses, Old Tom Morris and the newer Sandy Hills. The 10th on Sandy Hills is a great little links hole. A carefully placed drive to the bottom of the dunes sets you up for your second to a green well above you. The 6th hole is another absolute cracker. Ballybunion Golf Club, Old Course .. Par 4. Perhaps the most famous golf hole on the Wild Atlantic Way. Known all over the world as Tom Watson’s favourite , the 11th is quite possibly the signature hole of the entire country. An elevated tee, a steep drop to a second fairway and a narrow approach to the green . Great views over the Atlantic to the right. Galway Bay Golf Resort .. Par 4. The course sits on Galway Bay and offers amazing views along the Wild Atlantic Way. The 12th is a long dog-leg requiring precision off the tee. The second shot requires a fearless approach over water to a green which is perfectly placed with Galway Bay in the background. Connemara Golf Links .. Par 3. Enjoy the stunning views as you drive to the course. Connemara is set on beautiful and rugged landscape. Playing over 200 yards, the 13th is an absolute beauty. Never mind the feeling of isolation as you stand on the tee, think about the chasm and bunkers you have to clear to hit a sloping green. Carne Golf Links .. Par 3. Prepare to be mesmerised. Carne is one of the true hidden gems of Irish golf .. unspoilt and rugged. This is a remote course with so many great golf holes. It is also home to some of the largest dunes you are likely to experience on a golf course. The 14th stands out for its quality, remoteness and stunning ocean views. Strandhill Golf Club .. Par 4 .. The 15th is an uphill dog-leg that requires precision off the tee to avoid the dunes. However , it is the second shot that makes this a great hole as you hit straight towards a flag that appears to hang in the sky. Knocknarea mountain looms in the background. Enniscrone Golf Club .. Par 5. Enniscrone has everything a great links course requires .. mesmerising fairways, huge dunes, thrilling blind shots and beautiful views. The 16th is truly a great golfing hole set between the dunes and the ocean. A precise approach is required to an elevated dune framed green. County Sligo Golf Club .. Par 4. Set on Rosses Point, this is a glorious links course with the Atlantic Ocean on one side and the mighty Ben Bulben ever present on the other. Spoiled for choice with many great holes, the 17th is the pick of the bunch. It starts on flatter ground and rises to an amphitheater green to your left. Waterville Golf Links .. Par 5. There are many great closing holes on the Wild Atlantic Way but the 18th at Waterville gets our vote. Try not to be distracted by the amazing mountain and sea views as you head back towards the clubhouse. The 18th is a long straight finishing hole beside the sea.